As the Queensland Bus Industry Council (QBIC) prepares to stage its annual conference, the council also prepares for a tough period of contract reform for bus operators throughout the state. QBIC Executive Director David Tape meets with TransLink Bus Services Director Michael McGee on Monday (March 12) to discuss the contract reform process and set the terms of the engagement process. Tape says McGee, as the bus contract reform team leader, will present the process to delegates at the QBIC conference on April 3. "This will be the biggest contract reform the state has ever seen when it comes to contracted services for procurement of passenger transport services," Tape says. "We kick that off shortly, and all government contracts will be on the table." Tape says TransLink and QConnect contracts will be back on the table, as well as school transport contracts. "Within the next couple of months we will be sitting down with the state," he says. 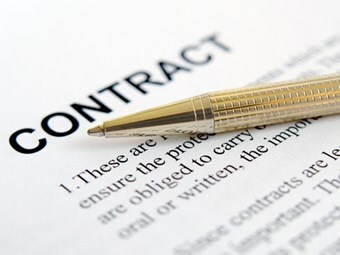 "We’ve always believed that contract management needs to be clear... it’s not a one way street, there are obligations on both sides of the fence." Queensland heads to a state election on March 24, with QBIC’s conference to be held just a week from the election result. "Depending on the outcome of the election on March 24, the Transport Minister – whoever that may be – has been invited to open our conference, followed by Queensland Transport and Main Roads Director General David Stewart," Tape says. "We have sessions on harmonisation of Occupational Health and Safety, and we also have Cooper Grace Ward doing a session on the Personal Property Securities Act 2009." Tape says the Act impacts on how operators manage their assets in regards to taxation and declaration. As the speaker program firms up, so does the list of delegates and exhibitors, the numbers of which Tape says will break the Queensland record for a bus industry event in the state. "It’s going to be the biggest bus show Queensland has ever seen," he says. "We have 241 registered for the gala dinner, 278 registered delegates, plus 100 exhibit representatives," he says. "On the Tuesday of our main conference day we are going to have almost 400 people in the Gold Coast Convention Centre." The event features 42 trade booths and 34 combined buses, chassis and trailers in the exhibition halls. As for future plans for QBIC events, Tape says ‘watch this space’. "We are only going to get bigger and better from here," he says. A highlight of the conference will be a presentation by Transform Director Louise Perram-Fisk. Perram-Fisk will discuss staff recruitment and the bus industry’s need to incentivise its workforce to retain driving talent currently drifting to the mining industry. The gala dinner will also feature – for the first time – the Queensland bus industry Employer of the Year award, also presented by Perram-Fisk on behalf of Transform as the award sponsor. QBIC’s ‘Communicate, Connect, Create’ conference and exhibition starts on April 2 at the Gold Coast Convention and Exhibition Centre.